Member News -- Universal Technical Institute Opens..
Universal Technical Institute opened enrollment to prospective students at its new, state-of-the-industry campus in Bloomfield, New Jersey, with classes to begin in the fall. The campus will train students for high-tech, in-demand jobs as skilled automotive and diesel transportation technicians. At full capacity, the 108,000-sq.-ft. facility will offer hands-on, high-tech training to approximately 800 students. Students can complete core automotive and diesel technology programs and be ready to work in 11 to 18 months. “Crown Lift Trucks values its relationship with UTI because it provides the opportunity to present students with a career path that can leverage their skills in ways they might not have imagined,” said Tim Roth, Director of Branch Aftermarket Operations at Crown Equipment Corporation. 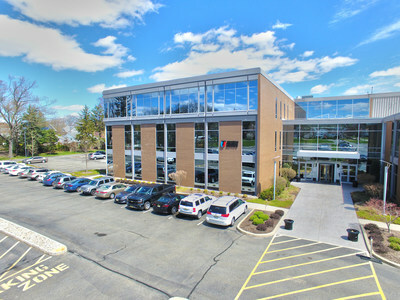 The Bloomfield campus, which is accessible from the New York/New Jersey rail and bus systems, will predominantly serve a commuter population, allowing students to access UTI’s quality education without leaving home. That, combined with a flexible curriculum that helps students fit classroom time into their work and family schedules, will make it easier and more affordable to come to UTI. UTI’s campuses, including UTI-Bloomfield, are accredited by the Accrediting Commission of Career Schools and Colleges, which is recognized by the U.S. Department of Education. UTI actively participates in the STEM Education Coalition, a nationwide initiative to ensure science, technology, engineering and math skills are interwoven throughout its curriculum. UTI has also been designated a STEM Jobs Approved College by Victory Media, which created the list to assist parents, students and guidance counselors in evaluating how well education is translating into real-world jobs and how responsive institutions are to meeting the demand for STEM-based education. *Approximately 8,600 of the 9,200 UTI graduates in 2016 were available for employment. At the time of reporting, approximately 7,400 were employed within one year of their graduation date, for a total of 86%. This rate excludes graduates not available for employment because of continuing education, military service, health, incarceration, death or international student status. The rate includes graduates who completed manufacturer-specific advanced training programs and those employed in positions that were obtained before or during their UTI education, where the primary job duties after graduation align with the educational and training objectives of the program. UTI cannot guarantee employment or salary.